Helping free language exchange practice partner translate a song she likes. Just like exercising, with time I have found new reasons to keep learning my second language. In college learning Spanish was fun. Later, foreseeing I’d be retiring or moving part-time to Mexico, it was a practical skill. Now that my Spanish is at a more advanced level, knowing that it is one of the best mental workouts you can get keeps me at it. When I got started learning, I was unemployed and could not invest in paid programs. I was so excited about all the free online tools available that I wrote a book about them. In a departure from using strickly free tools, I recently decided to try the online language learning site Italki. Italki offers language conversational tutors and professional teachers for hire for lessons via Skype. I knew from looking at the italki website interface that I would love using it. The site is so clean and intuitive that they had me before I even hired a teacher. You can set your criteria for teacher/tutor by country (useful if you want to learn a particular accent or regional slang), hourly rate and whether you seek a professional instructor or a less expensive “community tutor,” who will lead a guided conversational practice. As you read through profiles you can bookmark the ones that interest you to create a list of tutors/professional teachers to choose from anytime. The instructors and tutors set a wide variety of prices for lessons and chats. You can select 30-minute, 45-or 60-minute lesson. Many offer $5 30-minute introductory lessons. The teachers/tutors post their schedules, you find an opening and send a request. You will be sent a reminder a few hours before the lesson. The payment system is low-maintenance. You buy credits, starting at a $100.00 block. Each time you confirm a lesson as successfully concluded, the payment for the lesson is deducted from your account. After a lesson, you rate its quality and submit your comments. If there is a problem, say you have internet problems, you are able to report that. You are able to freely communicate with your instructors via your mailbox on the site or Skype. One of the things that is hard to achieve in practice with free language exchange partners is concentrated work on more advanced skills like complex verb conjugation. First I decided to hire professional teachers on italki for lessons that concentrated on this specific weakness. Later, I hired less expensive community tutors for help with Mexican jargon and vocabulary for living in Mexico, since my free practice partners all live in Spain. The teachers and tutors on the italki site produce videos to introduce themselves and what they have to offer. I wish all my past schools offered me such a wide range of adorability in my teachers. Ratings depend on client satisfaction, like Uber drivers. I wonder how fair that is is, given that this relationship, unlike the one with your Uber driver, is a two-way street. Imagine if your college professors depended on student’s ratings! The tutors and teachers on Italki try to please you in a way that’s almost painful. Professional teachers usually run at least $12 an hour, most charge around $20. However warranted, it can still add up. Learning a language is a slow process. You can sink money into lessons for months and feel you’re not progressing enough. That’s simply how learning anything difficult is. You’re not always on a straight trajectory up. If you are paying a professional teacher through italki, I found it important to set expectations by email upon confirming the appointment. Otherwise, the teacher spends a good deal of time getting to know you. I love to chat in Spanish but kept feeling that I shouldn’t be paying higher professional teacher rates to simply converse. That can be done with a less expensive community tutor (I realize that puts the professional teacher in an awkward spot balancing cordiality and professionalism). My hope with the more expensive teachers was to get concentrated instruction on a specific sticking point. Professional teachers on italki have many students. Even by the second and third lesson with the same instructor, fhe lessons were fragmented and jumped around. Looking at their calendars, you can see they have little time to prepare individualized lesson plans. The professionals with the best resumes are more costly and even more popular. Their students wisely reserve their session times well in advance to get optimal times. I imagine that once you settle in with one or two instructors, they can concentrate more on your personal needs. You might spend a fair amount of money and time before finding the instructors with whom you have chemistry and can settle in to a routine of preparing for you specifically. When considering any language tool, and there are truly excellent ones, always think about what you can do for free first. I tested at B2 intermediate level without ever spending more than the price of a cup of coffee at twice a week at Spanish Exchange MeetUps and an occasional $6 monthly membership for a few months to recruit free Spanish exchange partners. I supplemented free practice sessions by studying vocabulary and grammar on the the many free sites featured in my book. Finding free language exchange partners does take some effort, but not much more than finding paid instructors/tutors (there are hundreds to choose from on the italki site). To find free language partners, you have to put your best self forward and solicit other members to practice with you. You have to coordinate schedules along multiple international time zones. There is an element of rejection as you will click better with some than others. Ultimately though, you can recruit a full slate of people with whom you can practice as many days as you want for free. One of my favorite practice partners has 10 other practice partners, which gives him an hour a day five days a week practicing English (he is 64 years old), all for free. Free practice partners are not quite as efficient as hiring a conversation tutor. You do have to provide the partner equal time speaking in English, and help him or her with their language goals. This time spent in English is not completely lost. Seeing how your partner faces challenges and hearing them improve can spark a competitive streak that will keep you motivated. When my 64 year-old friend told me he had 10 practice partners, I went out and recruited two more myself. While most of the free exchange partners prefer just socializing, a few like to mix in formal exercises, reading and drills. We help each other find learning resources. Many of the tools featured in my book were ones free practice partners in Spain found to help me. Good practice partners are as motivated as you are to learn a second language. Very likely they will be eager to assist, whether you want to find structured exercise, to chat, or a combination of both. Unlike professional teachers who might be teaching dozens of students a week, we are more likely to remember where we left off in the previous lesson. Paid teachers are committed as professionals. A good free practice partner is committed as a friend would be supporting another friend. If you have the resources, using italki is an effective and efficient way to get the speaking time you absolutely must have to learn a language. It is perfect for people who need to get up to speed very quickly and don’t have the time it takes to recruit a bevy of free practice partners, or don’t want to spend half the time speaking in English. Italki is perfect for those who are too shy to recruit free language partners. Paying tutors or instructors saves you from rejection by potential free practice partners and the discomfort some have of contacting strangers with whom to practice. One of my best practice partners was too shy to reach out. We are only practice partners because I did. You need to be “up” for your free practice partners. From time to time, that takes effort. Paying an italki tutor or instructor puts more of the burden on them for the session’s success. If you cannot spend $100 a month on speaking Spanish, I would advise bookmarking a slew of italki community tutors and hiring them for conversational practice when you are light a full contingent of free practice exchange partners. Recruit new free exchange partners as others drop off to keep to your daily practice goals, and use Italki tutors when you have gaps, until you can find a free exchange partner. Using the Italki site in this way will guarantee you maintain a consistent practice at the lowest cost. It will give you maximum flexibility in scheduling convenient practice times if a few of your free practice partners are on vacation or traveling. It’s definitely a great back-up to keep you moving forever forward in your language goal. It’s not that unusual to experience a bit of language-envy from non-Spanish speaking expats - Ventanas Mexico. Years after giving up my car, I am interested in securing one for a few months on my yearly return home. New options have emerged and I am a girl who loves choices. Next up: The quick and dirty on Cancún, what to see, what to skip and its potential for long-term renters. 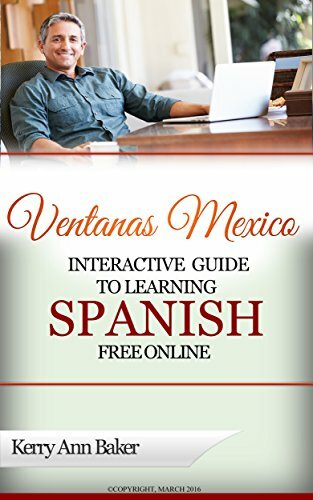 Kerry Baker is a partner with Ventanas Mexico and the author of two books, the Interactive Guide to Learning Spanish Free Online is a curation of the best free language tools on the web, curated into lesson plans based on level. With the Guide, you can create new lesson plans like I do every day and keep your language learning fresh. 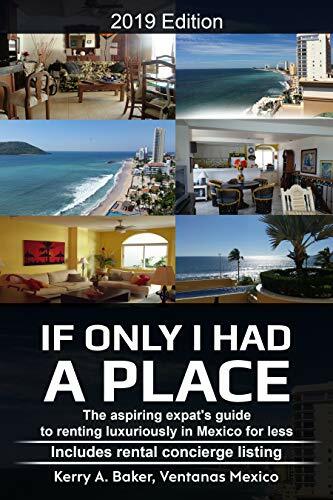 If Only I Had a Place is guide to renting in Mexico that gives you the “uncomfortable” information about renting that realtors do not want you to know. Use this Guide to understand the pitfalls and potential advantages of renting in Mexico as an expat.